TGIF! And finally, a new feature! The photo trove is full of pictures that are worth at least 1,000 words—ideal both the writer’s frozen fingers and today’s readers’ attention spans. 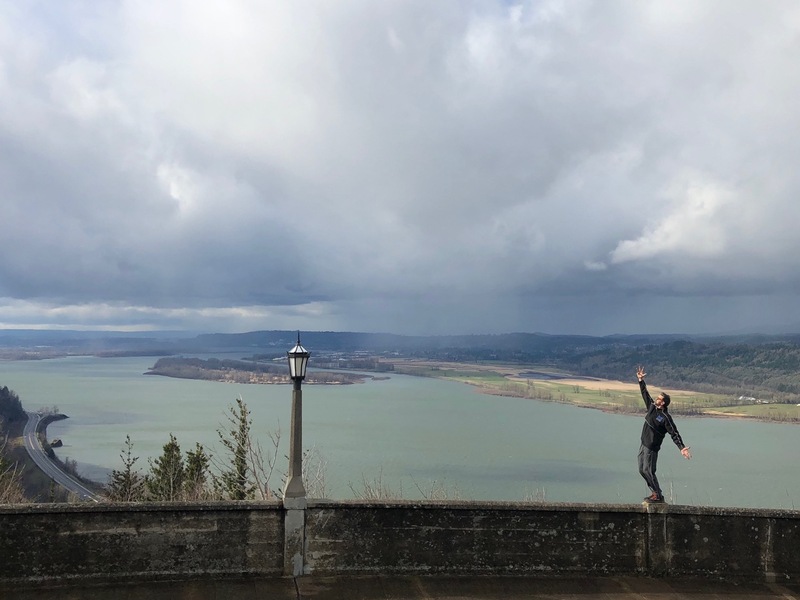 This image comes from a panoramic overlook near popular Portland (OR) last March. The grandstander on the bridge is my fearless friend, Brian. Naturally, the wind was as gusty as my pal is gutsy. But no, he didn’t fall off!